Asanka Gursinha was a dependable batsman for Sri Lanka from the mid-80s to the mid-90s. He was renowned for his calm and composed innings which helped the Lankans immensely in crunch situations. Having played 41 Test matches, Gurusinha scored 2452 runs at an average of 38.92 including 7 centuries to his name. 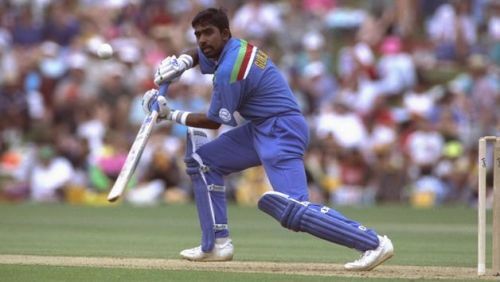 But he will be best remembered for his courageous batting display during the 1996 ICC Cricket World Cup. Gurusinha was the second highest run scorer for Sri Lanka in the tournament, and his 65-run knock in the final against Australia at the Gaddafi Stadium was crucial for the island nation's maiden World Cup triumph. The 125-run stand between Gursuinha and Aravinda de Silva took the game away completely from the Australians, and Sri Lanka became the third Asian country to win the coveted trophy. But Gurusinha's form declined after the tournament and he retired within a year.